About Us | MAX Solutions. 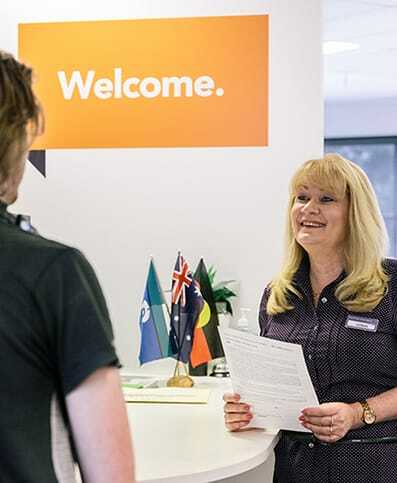 As MAX Employment, the largest employment provider in Australia, we deliver life-changing opportunities with positive outcomes for both individuals and employers. As a Registered Training Organisation, MAX provides vocational, educational and certified training services to individuals across the country. Our health services and work under Assessments Australia underpins these services to support people’s individual needs. We provide people with the tools, knowledge and confidence to manage their health, opening up new opportunities. We work closely with local government, support organisations and employers to bring services to communities in a respectful and culturally responsible way. Our commitment to our vision provides support, understanding, development, opportunity and jobs. We approach this with respect for and consideration of the cultural, social and spiritual beliefs of Aboriginal and Torres Strait Islander peoples. We are committed to supporting employment initiatives through promoting respect for Indigenous Australians and their cultures. We believe in inclusion, equality and respect for every individual. As a Disability Confident Recruiter recognised by the Australian Network on Disability, we approach our own recruitment practices to promote the inclusion of people with disability. At MAX we actively seek to employ and are committed to providing appropriate employment pathways to Aboriginal and Torres Strait Islander people.